What are the Differences Between a Diamond Certification vs. Appraisal? When thinking about purchasing or selling a diamond, it’s important to understand the difference between a diamond certification and an appraisal. Both documents share some common ground, but they serve different purposes. A diamond certification is a document detailing the gemological specifics of the stone. These are issued by qualified gemologists, normally through a major certification lab like the Gemological Association of America (GIA), the International Gemological Institute (IGI), the American Gem Society (AGS), and other reputable institutions around the world. These institutions verify a diamond’s authenticity in addition to evaluating its colour, clarity, carat weight, and cut, also known as the 4Cs. These evaluations are precise and involve inspections of a diamond under magnification and controlled lighting to note any internal flaws, tinges of color, and cut specifications. Diamond certifications are always performed on loose diamonds, that is, diamonds which are not set in jewellery. Some labs will laser-inscribe the certification report number microscopically on the girdle of the diamond, while others simply issue a trackable report. The purpose of a diamond certification is for the buyers and sellers to know the exact quality of the diamond. An appraisal is also a document prepared by a jewellery expert who has considered the quality factors of the diamond, but an appraisal’s primary purpose is to assess the monetary value of a diamond. Jewellery appraisers may or may not be gemologists, but they certainly will be experts on assigning value to an item. Appraisals are usually prepared for insurance purposes or for use in legal matters such as the division of assets or in the settlement of an estate. An appraisal may be done on a loose diamond or on a set piece of jewellery. 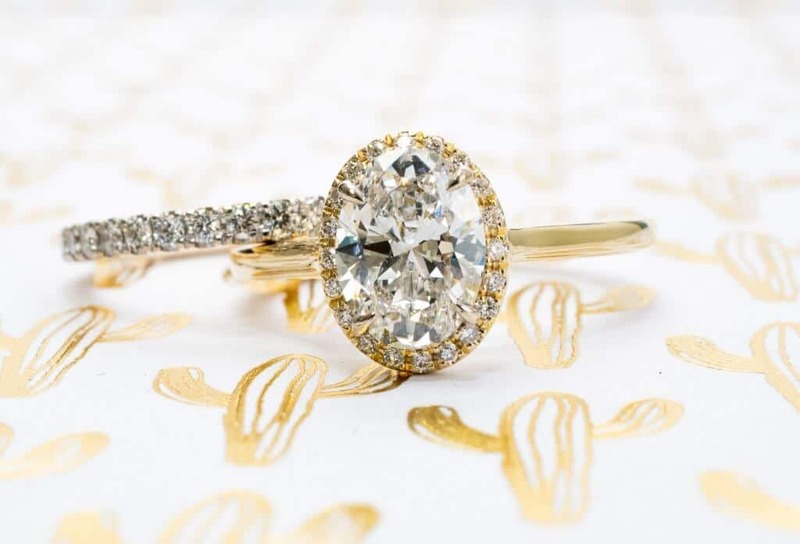 Diamond appraisals will use calculations to determine the retail replacement value of an item, meaning the price it would cost to purchase the exact item at a typical jewellery store at full retail price. An appraiser may consult a diamond certification, if available, to help determine the price of a stone; certified diamonds tend to demand a higher price than non-certified diamonds because buyers have the assurance of a third-party institution when it comes to the item’s beauty and rarity. The main difference between a certification and an appraisal is that a diamond certification is a scientific evaluation whereas an appraisal is a financial evaluation. The results of a certification can have an effect on the results of an appraisal, but it cannot stand in place of an appraisal for the purposes of insurance or estate law. A diamond only needs to be certified by a lab once, because the standards of evaluation are uniform and not subject to change over time; however, appraisals should be updated once every few years or as required by an insurer as market values do fluctuate with supply, demand, and style trends.